BANGKOK (Reuters) – For five years, Thailand’s Prayuth Chan-ocha ruled undisputed as the head of a junta that had grabbed power from a democratically elected government – now, he looks poised to become a civilian prime minister himself. It would likely be a tough transition for the imperious former army chief, who can hope to stay on despite Sunday’s inconclusive general election thanks to changes critics say his government made to skew the parliamentary system in the junta’s favor. His government will have to develop “some significant savvy at parliamentary wheeling and dealing to … govern without resorting to threats,” said Anthony Nelson, director at the D.C.-based advisory firm, Albright Stonebridge Group. Prayuth’s ambition to extend his rule through the ballot box is not assured. The results of Sunday’s poll are still unclear and although the Palang Pracharat appears to have won the popular vote, there is a chance that it will fall short of the parliamentary seats required to rule. However, his coalition may not command a majority in the 500-strong lower House of Representatives and could be outnumbered by a “democratic front” of opposition parties, the biggest of which will be a Thaksin-linked party. The military coup of 2014 ended a decade of street protests by Thaksin’s bitter opponents, the “yellow shirts” of the urban elites and monarchists, and counter-protests by Thaksin’s “red shirt” loyalists. 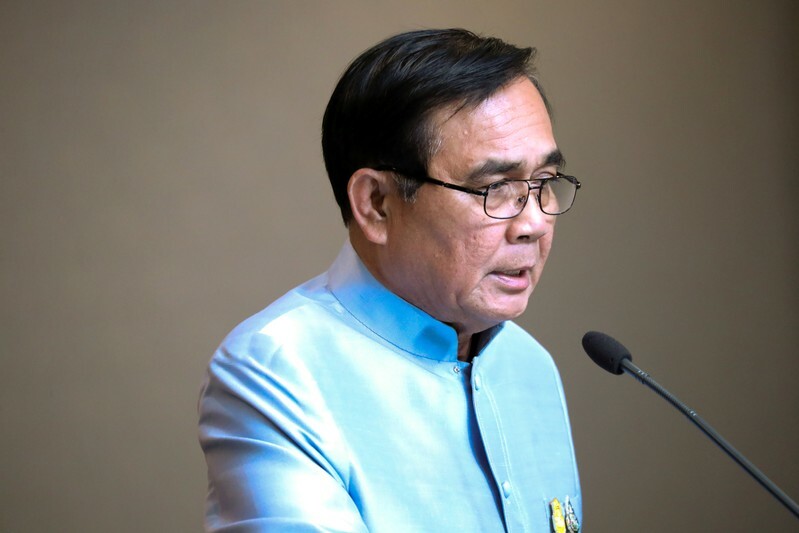 Thais became accustomed to their junta leader losing his temper in public: he once threatened to throw a podium during a press briefing, and another time mused that he could “probably just execute” a roomful of reporters. However, Joshua Kurlantzick of the U.S.-based Council on Foreign Relations said that Prayuth’s track record – repression of opponents, an intolerance of criticism and a failure to understand the role of the media – suggested he would struggle to adapt to “a somewhat democratic setting”.